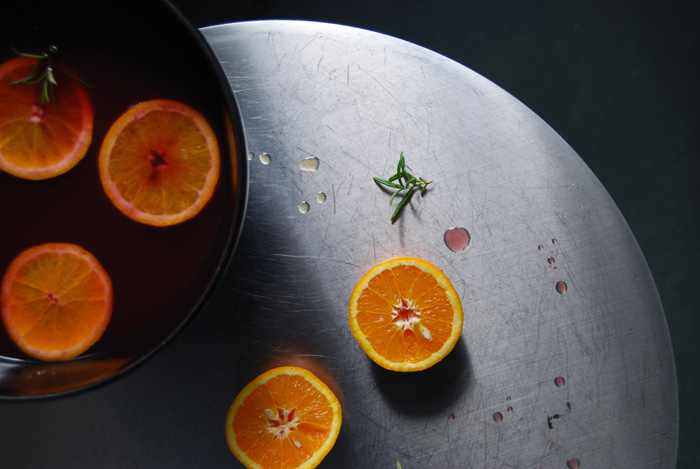 This is one of the best summer drinks, chilled summer sangria with lots of orange juice and woody rosemary. I use more juice than wine, so it’s stuffed with vitamins – you could almost call it a healthy drink! The juice of a lemon adds a bit of sourness which I don’t want to weaken with too much sugar. Only 1 tablespoon, that’s all I put in and its enough to push the fruit’s natural sweetness. 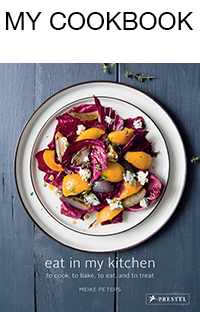 A glass of brandy and a few orange slices make this Spanish classic complete. You could also chop in some peaches or strawberries, but I like to concentrate on citrus fruits. That’s how I remember it from my holidays in Ibiza and that’s how I love it. The rosemary is my personal customization, we tried it once and got hooked on it. For 1 big bowl of sangria, I mixed 750ml / 1.5 pints of dry red wine with 900ml / 2 pints of good quality orange juice and 150ml / 5 ounces of brandy. 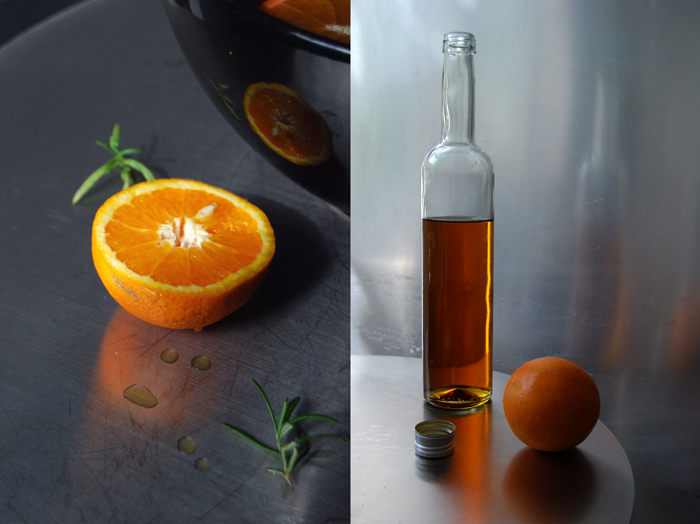 I added the juice of a lemon, 1 tablespoon of sugar, 4 small sprigs of rosemary and the slices of 1 organic orange. 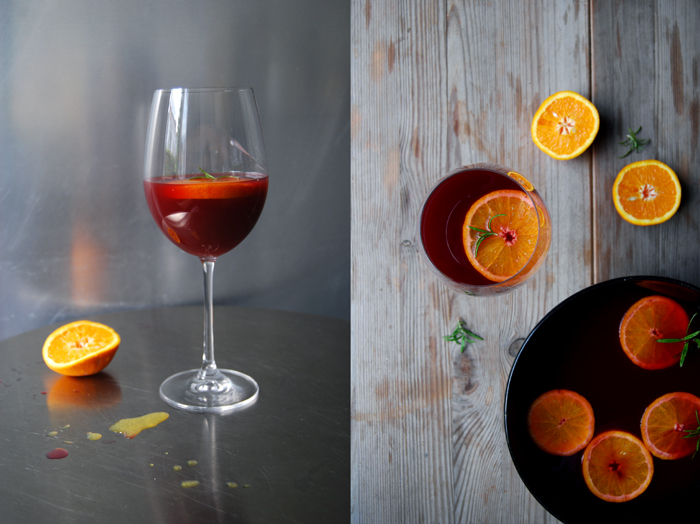 The sangria is best slightly chilled and when it can sit for at least 1 hour. 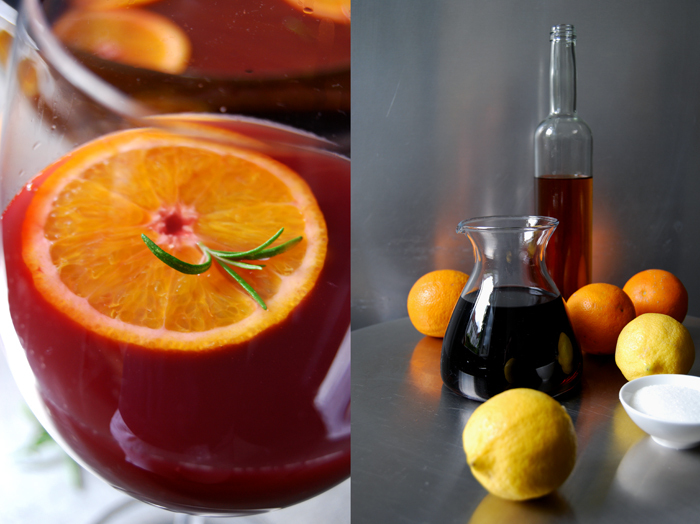 Homemade sangria is so much better, less sweet and more fruity!